We are the largest manufacture of producing bamboo product s in China. 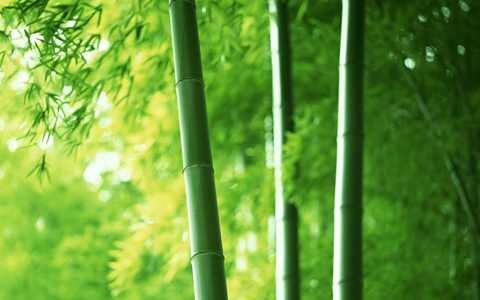 XingLi Bamboo Products Company, locates on the Mingling Town where is the juncture of Jiangsu, Zhejiang and Anhui provinces in China, was established in the May of 1989, now the largest manufacture for producing pure bamboo products in China. It occupies more than 35,000 square meters of land with 19,500 more square meters being factory buildings, now has fixed assets worth more than RMB 21.5 million, and production lines of three for bamboo flooring and two for bamboo curtain and two for bamboo furniture, with yearly turnover of 0.8 million square meters of bamboo flooring and 6 million square meters of bamboo curtain and bamboo carpets. The products are exported to USA, Canada, EU, Japan, Australia and countries in the Middle East. IKEA of Sweden is one of our bamboo curtain agents for about ten years. Some other important clients like Wal-Mart and Home Depot comes from North American, Home base and Homebach and Kingfisher come from Europe. The market share of our bamboo flooring in European market is over 24% and keep increasing. There are many trademarks in European market and North American market are come from our XingLi factory by OEM (we printed their trademark and logo outside carton).Our yearly sale reached more than RMB 200 million with RMB 15 million of profit & tax, among the sales was USD23 million more from export. The company has won its honorable titles of All-Round Quality and Management Standard Enterprise of the Agriculture Ministry, Ten Best Foreign-Exchange Earning Enterprise in Agriculture, Two-Excellence Enterprise for Foreign-Exchange Earning Enterprise in Agriculture. Its products have been awarded the gold medals of China International New Technology And Famous Brand Products and the China Cultural Festival international Bamboo Products. We pay close attention to product quality, and has been certified by SGS and CQC and ISO9002 systems. The company now employs more than 900 workers, among are 96 of skilled and advanced technicians. The XingLi branded bamboo flooring is the new and high-grade decoration material developed for the new century. By choosing the best raw material, and applying pre-production treatments as vulcanizing, antiriot & antimonth, through special hot-press technology, the product preserves its natural bamboo looking which is beautiful and elegant, yet with its unique characteristics of anti-friction and deform-free better than those of wood floor's.